I’m willing to bet 2 cents (both of them are mine) that none of those reading this post will have heard of the Quatar Motor Show. Any takers? Since I’m pretty confident nobody will step up to the place I’d like to confirm its existance and a starting day is set for tomorrow with quite a premiere scheduled to take place. 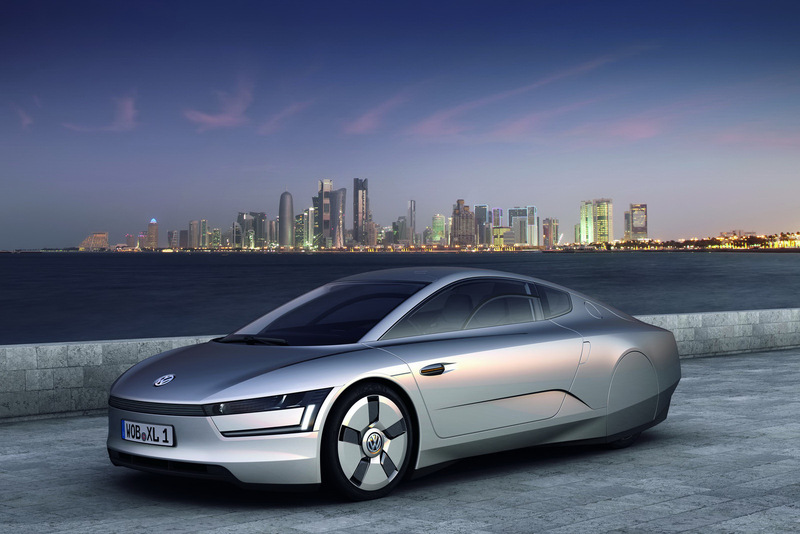 The Germans at Volkswagen plan to launch a Diesel-Electric Hybrid Concept called the XL1. The Volkswagen XL1 isn’t a completely fresh idea as the people’s car makers have been at it since 2002 when they launched the 1 litre. Back then, the car wasn’t something realistic but the XL1 has grown to a point where it can take two people in comfort, and is basically similar to what we perceive as a normal car. Where it isn’t normal is in the tech. Everything on this car that can be light, is to the extend where it’s as much as science allows it to. Thanks to, carbon fiber, magnesium, aluminium and some serious packaging (see offset passenger seat)the VW XL1 weighs in at just 795kg. Given how it has a diesel hybrid powertrain and a drag coefficient of just 0.186 (to put that into perspective, the Bugatti Veyron has 0.36 at its best) the VW XL1 can achieve 261 mpg US. That is not a misprint, 261 mpg on a US cycle can be achieved with this car. Right about now you’re thinking that this car is incredibly slow by all means. In actual fact it’s got just 800 ccs in its TDI two-cylinder common rail diesel engine so you only get 48 horsepower and if you add the electric power the total comes in at 75 but you’re missing one important point. Given the lightweight, a seven speed DSG gearbox and the aerodynamics, the Volkswagen XL1 can achieve 0 to 62 in 11.9 seconds (which is adequate for a fuel sipper these days) and a top speed of 100 mph (electronically limited). 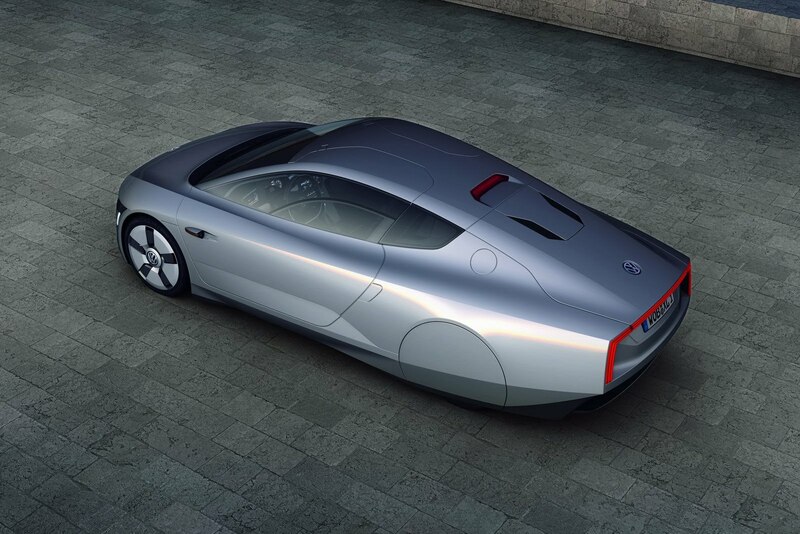 While i’m not a fan of hybrids, you have to admit that the VW XL1 concept is quite the car.